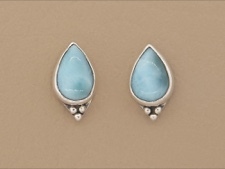 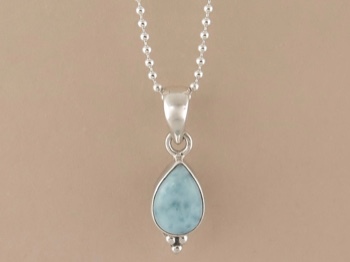 Small, simple, sweet - very precious tear of Larimar, the gemstone of the Caribbean. 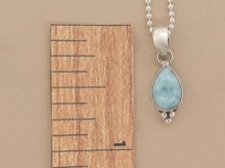 Set in sterling silver and comes with a sterling bead chain. 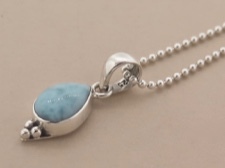 Perfect for layering or wearing alone, you will love this special memento of St John.